You have found the finest and best designed art and picture hanging system. With easy on-line ordering and fast delivery, it's no wonder professional galleries, interior designers, architects, landlords and proud home owners alike choose THE GALLERY SYSTEM to create eye-catchingly elegant picture hanging spaces and stylish art exhibition galleries. At the heart of your new Picture Hanging Display System is your choice of Designer White or Silver anodised aluminium Hanging Tracks. Available in 2 Metre and 3 Metre lengths, they can be easily cut to length or butted together to fit the precise length required for your wall space. 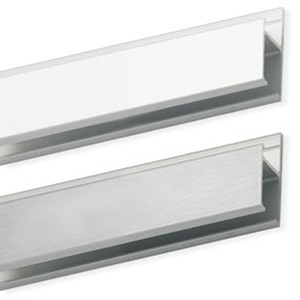 They are also easily fixed to either solid brick or plasterboard walls in a matter of minutes.with your choice of standard wall plug or plasterboard fixings. Made from durable 1.2 mm stainless steel, the picture hanging cables are designed with "slides" to insert and hold the cable anywhere along the length of your track. The Pack includes 10 x 2m cables and 10 x track slides Whilst other systems only allow the insertion of hangers into the end of the track, the Gallery System's ability to insert the hangers at any point along the track is both convenient and time saving. 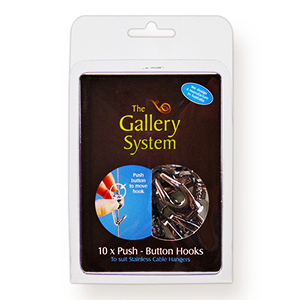 The Gallery System Push-Button Hooks are ordered in convenient packs of 10 and are the perfect match for the Hanging Cables. 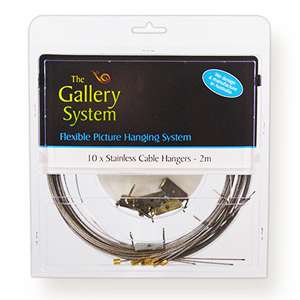 These unique picture hanging hooks offers tool-free operation and are extremely fast, easy and convenient to use. By simply pushing the button on top of the hook, you can easily adjust your art to the right height and then release the button to securely lock your art at precisely the correct height. Here’s How to Hang Your Pictures the easy way…..
You’ll find this “State of the Art”, easy to install system in leading galleries, homes, apartments, offices, libraries and stunning exhibition spaces in Sydney, Melbourne, Brisbane, Adelaide, Perth & throughout Australia where a smart and reliable Picture Hanging Solution is required. Yes, hanging your pictures has never been easier ! Designed for your peace of mind and easy installation. the old fashioned way…. ever again! art galleries around the world! and flexibilty to adapt to your changing needs. 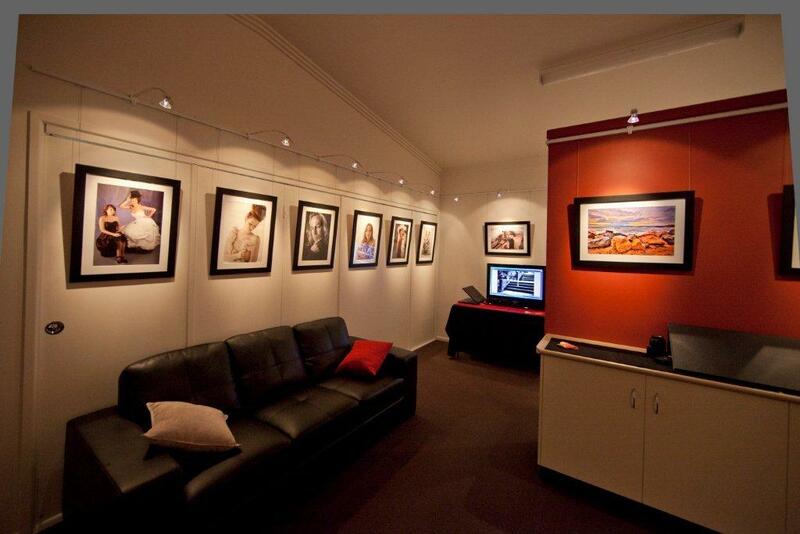 The perfect picture hanging and art display system. throughout Australia where a total picture hanging solution is required. 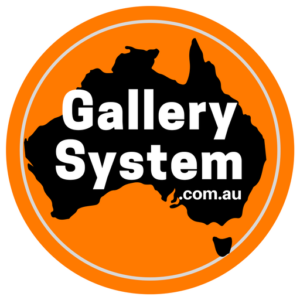 The Gallery System is an absolute “must have” investment for all landlords! fast and convenient solution to all picture hanging projects. of an optional integrated light wand system to bring your artworks to life. then, you can change your art around as many times as you wish. 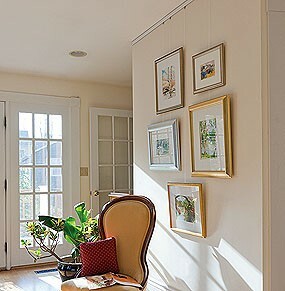 Discover the “ART” of easy Picture Hanging for yourself. We will be delighted to guide you with any questions you may have in relation to the best possible ordering experience and getting the perfect results for your picture hanging project.